The start of the event. 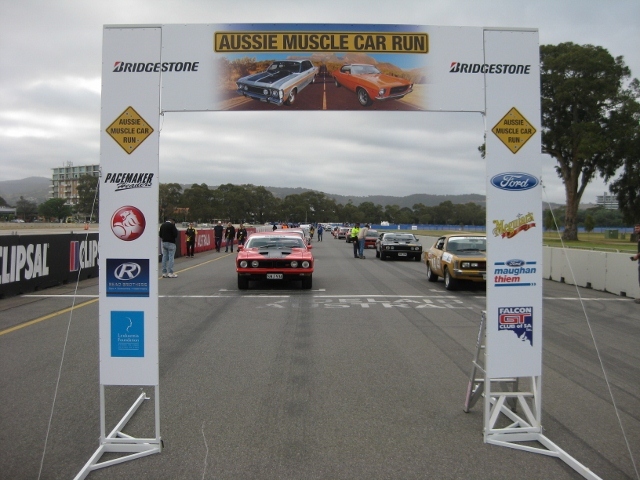 Last November the South Australian Branch of the Leukaemia Foundation had a charity event called “The Aussie Muscle Car Run”. 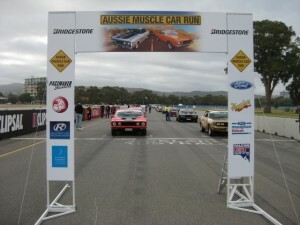 This event was open to Australian Classic Cars from the era of 1967 – 1977. The event was for 7 days driving 2800km all around South Australia. 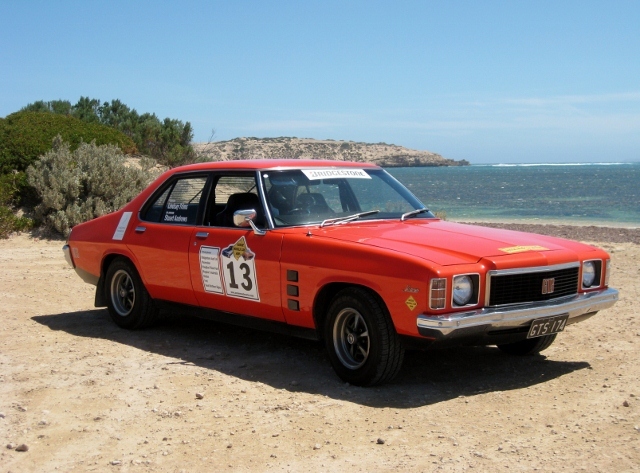 Lindsay is a proud owner of a 1974 HJ GTS Monaro and thought it would be a good way to really test his car and raise some money for a great cause. With co-driver Stuart Andrews “Team Merv” travelled 7500km in 10 days to complete the journey. It was a great event and “Team Merv” raised $4700.00 for the Leukaemia Foundation. In total, just over $260 000.00 was raised and with time permitting Team Merv is thinking about doing the event again this year. Lindsay would like to thank our major sponsors; Drummond Golf at Ashmore, Kennards Hire and PHP Plumbing.